Marie A. Schachel, 95, formerly of Pinewood Drive, Sheboygan died Monday, August 1, 2005 at Heritage Nursing and Rehabilitation Center in Port Washington. 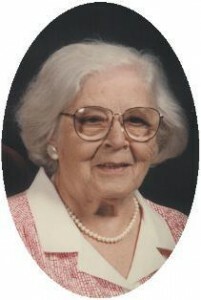 She was born March 21, 1910 in Harlan, Iowa to John and Anna Harms Behrendt. She married Theodore F. Schachel of Port Washington, Wisconsin on June 15, 1929 in Port Washington. They lived on Spring Street and operated the Milwaukee Journal Carrier office in Port Washington for many years. In the 1950’s and 1960’s she had been very active with the Democratic Party. Upon retirement they moved to California for a few years. In 1980 they returned to Sheboygan, Wisconsin. She became a member of Immanuel Evangelical Lutheran Church in Sheboygan. On May 16, 1996, Theodore preceded her in death. In 1997 she came back to Port Washington and in 2003 she moved to Heritage. She loved to knit, play cards and traveling. She enjoyed visiting with family and friends and staying in contact with her pen pals. Marie is survived by her daughter Diane Doers of Port Washington and Keith (Connie) Schachel of Sheboygan. She was a proud grandma of 7 grandchildren and 15 great grandchildren. She is further survived by dear friend and 60 year pen pal Gerald Bartley of London, England, other relatives and friends. She is preceded in death by her husband, and a sister, Glenna Jelovnik. The Rev. Martin Wildauer of St. Matthew Lutheran Church will officiate funeral services 7 pm Friday, August 5, 2005 at the funeral home. Interment Union Cemetery, Port Washington. Visitation 4 – 7 pm Friday at the funeral home.